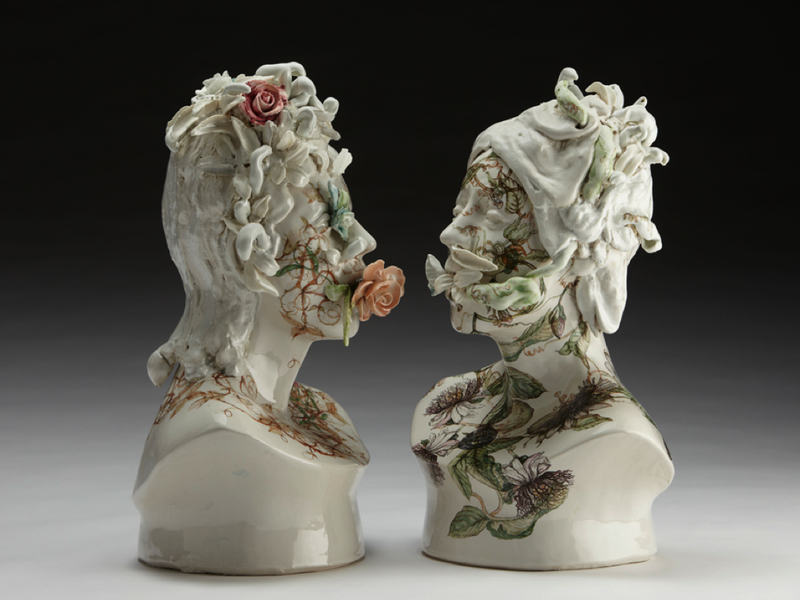 At first glance, they look like feminine busts with floral print, very romanticism meets baroque. A closer look reveals many more layers than I’ve expected. Some even look rather ‘medusa’-like, unfortunately. However, it’s undeniable that the sculptures are visually striking and memorable. The intricacy of the details is impressive. 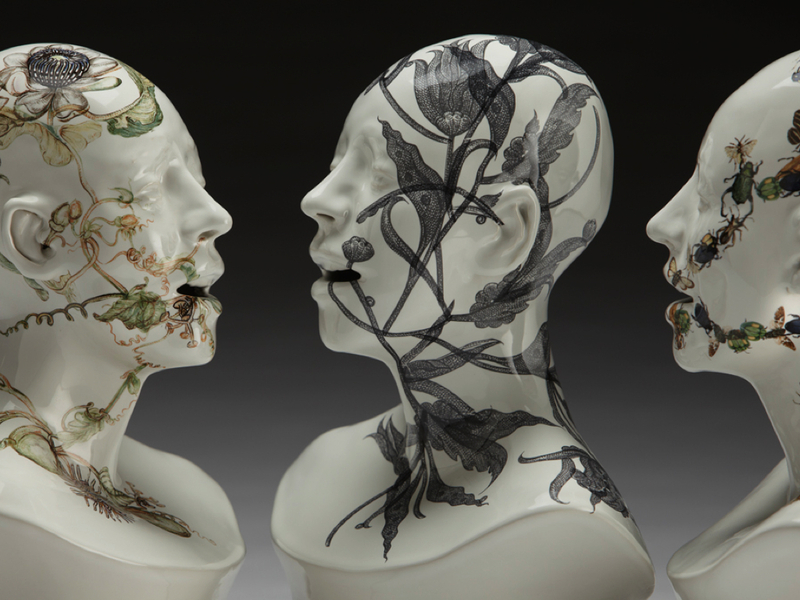 What looks like standard busts you see in art class are covered with flowers and leaves, printed or in relief. 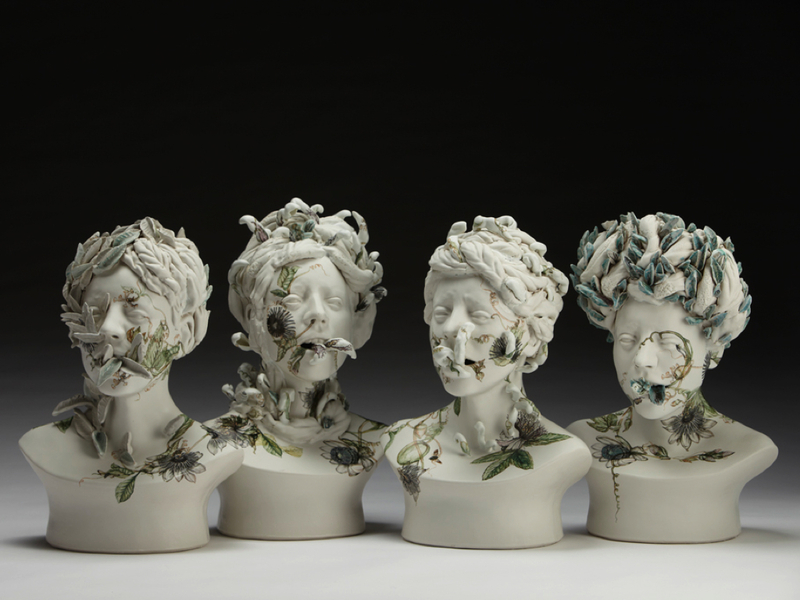 Overgrown and enfolding the busts, the force of nature and the stillness of porcelain provide a haunting imagery. 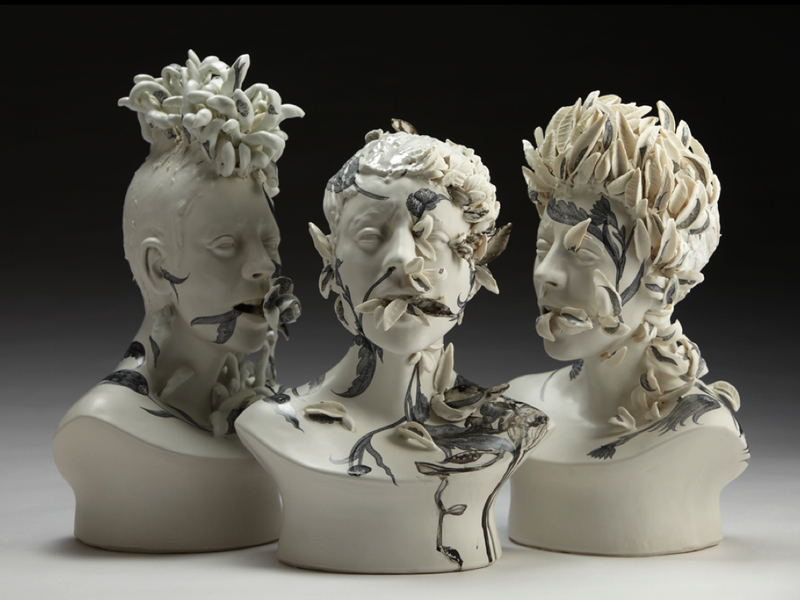 Created by Jess Riva Cooper, a ceramic artist and educator based in Toronto, this series was done during her artist residency at John Michael Kohler Arts Centre.